"In 2017 IRBIS PROJECTS Company decided to exhibit at Composite-Expo Trade Show with our partners. The company presented at its stand the following: technologies and equipment for producing of continuous basalt fibre and basalt & glass fibre roving composite goods. The interest to our products surpassed all expectations. We received first orders for composites fittings and manufacturing equipment. It once again confirms the fact that а picture is worth a thousand words. This particular exhibition allowed us to see the picture and during the meetings with specialists to assign a vector of company development and further composites industry's expected future development as well"
"Neva Technology has exhibited at Composite-Expo Trade Show for the first time, but at once stirred a great interest among the specialists by presenting a broad range of solutions for composites manufacture. During all the 3 days of the show our stand was in a focus of the specialists’ attention of different companies anyway dealing with composites. More than 100 specialists visited our stand during the show. At present the experts of Neva Technology has been profound negotiating with majority of the representatives of the companies, helping them to find more accurate solutions for their tasks for every production having its own particular characteristics. The event is a truly leader in the composites field that bundles main companies, industries and experts. We wish you to gain steam and keep up the good work!" "Composite-Expo 2016 brought more visitors to out stand in comparison with the last year event. The quality of the visitors increased as well. Mainly we had meetings with representatives of active production companies in marine, mass transportation, aeronautics& airspace industries who were interested in raw materials for composites manufacture. We also had visitors who are only about to start a new composites manufacture. The Composite-Expo Trade Show is always a great ground for meeting your old clients and getting the new ones"
"This year Interdeck Company has exhibited at the show for the first time. On behalf of our company I’d like to express gratitude to the organizers of the show for their expertise and business-friendly atmosphere. During the Composite-Expo we met the new would-be partners, shared the best practice with other exhibitors and learnt many new and useful things. We’d like to mention that visitors of the show were mainly professionals seeking new partners for mutually fruitful cooperation. This fact is very important for us. We’re planning to join the show next year. 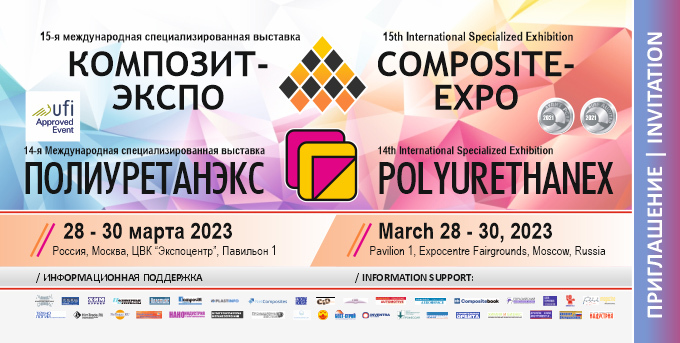 Many thanks to the organizers and other exhibitors of Composite-Expo 2016!" "Subsequent to the results of our communication with visitors I figured out that at this very event we had clients of a different quality. At the huge shows there is a great stream of people and it's hard to estimate the value of the client for the company. But here we met visitors of the definite subject, no stream, and you can devote more time to the communication with a client, take in the gist of the tasks rather than just take contact details with phone-you-later response. At the huge events many clients can't reach your stand physically - either they're short of time or they are already intercepted by other exhibitors and besides there is not time for communication unless the client comes exactly to you. At the not-large-scale events the visitor has enough time to investigate all the exhibition area, to attend all the stands needed and to devote the time to an unhurried talk: when a visitor shares current issues of the manufacture with you and we together search for the areas of common interest"
“It was the first time IGC Composite participated in Composite-Expo. Representatives of different companies visited our booth, negotiations with our key customers was carried on during the exhibition. This event gave us a possibility to present the new products of Scott Bader Company, meet new people working in the branch of composite materials as well as our regular customers. We've obtained more than 20 potential partners and began working at new interesting projects. We would like to thank managers of the exhibition for professional and successful work”.